(0 Customer Reviews) | Write Review 13 issues per year Love PlayStation? You need Play, your one stop for all PS4, PS3 and PS Vita content. 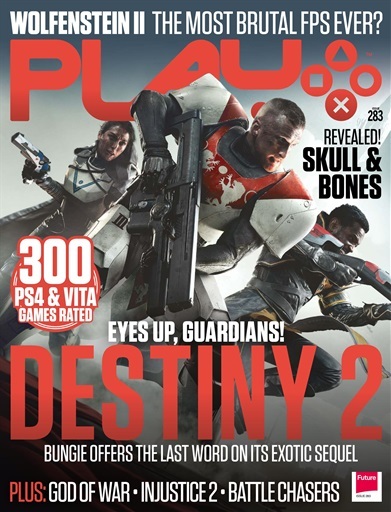 The gospel of Sony gaming, Play has outclassed and outlasted the competition since 1995, delivering its readers unprecedented access to the biggest games, world exclusive reviews and a personality like no other. Featuring 13 incredible issues every year, combining stunning design and tried-and-trusted editorial, Play provides the PlayStation world with everything they need to stay in the know and on top of their game. Love PlayStation? You need Play, your one stop for all PS4, PS3 and PS Vita content. 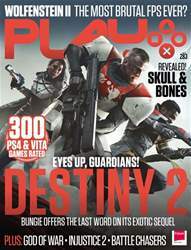 The gospel of Sony gaming, Play has outclassed and outlasted the competition since 1995, delivering its readers unprecedented access to the biggest games, world exclusive reviews and a personality like no other. You'll receive 13 issues during a 1 year Play magazine subscription. You'll receive 13 issues during a 1 year Play magazine print subscription.